was what our client was seeking when they learned about our services. 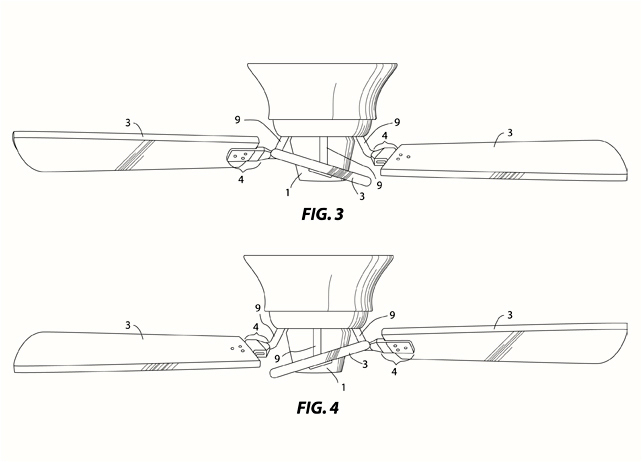 The start-up company were seeking a patent for a ceiling fan blade concept in hopes of breaking into the advertising industry with their new idea. 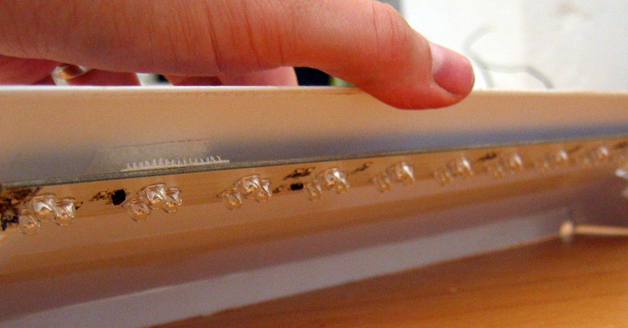 We created a working prototype that could be presented to potential investors and we later created drawings of their concept to be included with their patent application. 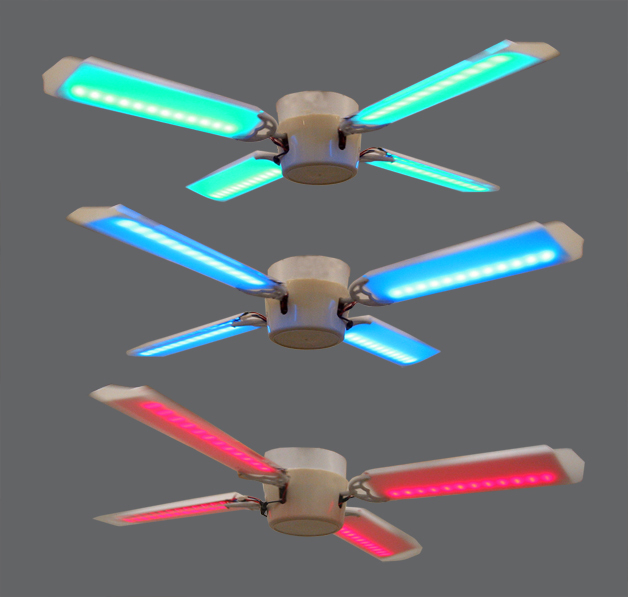 LEDs inside each fan blade change colors, illuminating each blade and changing the ambience of a room. 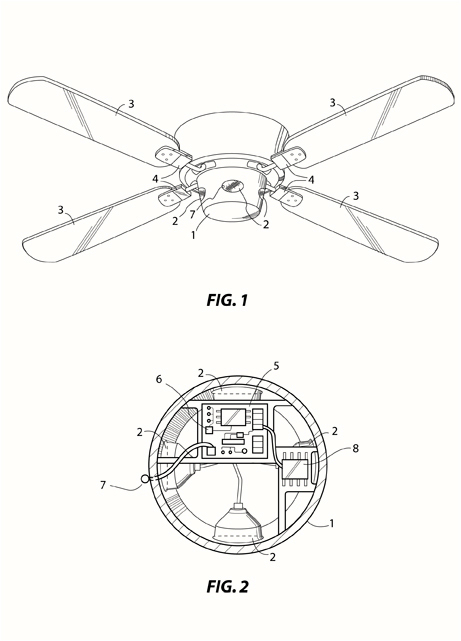 A selection of patent drawings for the ceiling fan concept.